No, no. As far as I know 240 has more angles than normal keybinds. I suggest to make it optional to be able to have only 6 angles like keybinds but decide direction with mouse. Just like keybinds, to be locked into six angles. I get where you're coming from and how you see the problem because I have the same but the opposite. Something in higher FOV makes me feel like the weapon of mine is a bit small or has unrealistic distortion and I cannot calculate range precisely. Might be a l2p issue currently but I feel viewmodel FOV would be a great addition for those who want either bigger or smaller models. Many people dislike the 240 system in general, others play with it but my impression from players who I play with on the servers is that they dislike it currently. 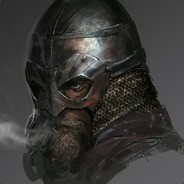 Having played both For Honor and Warband I want to suggest 2 main things in order to make it more accessible and reliable. This will allow players to customize their playstyle a bit further, without having to change DPI or actual sensitivity, requiring to learn muscle memory from scratch. My personal issues with 240 at the moment might differ from someone else but my problem is that I find too sensitive. There are countless times that It has triggered an attack from the opposite direction that I initially aimed because all it requires is like 1 pixel. This totally ruins it for me as a medium to high sensitivity player. This problem is extremely noticable if you try to stab morph to lower strike, most of the times it triggers a normal swing for me. I play on 800 dpi and 0.25 sensitivity currently trying to adapt, but it still does not work. The 1 pixel problem persists on multiple hertz. 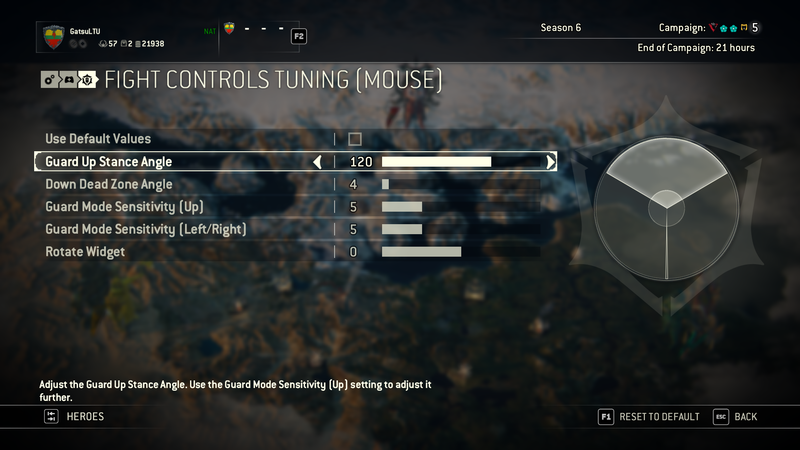 I tried setting my mouse to 1000hz, 500hz and 125hz. The problem does not go away. 2) Another suggestion I would like to make is having an optional 6 swings only for 240, without the microdirections inbetween. Due to the deadzone problem above, I find myself manytimes trying to perform a normal swing but it will always go either a bit lower or higher, resulting to me missing because It is not the angle I had in mind. Please be aware that these problems are mine, not sure how other people's mice react to the 240, but its very annoying so far. I tried playing with keybinds but I simply do not like it, at all. If these input changes could be implemented it would be greatly appreciated. IGN Hungary also covered this yesterday. Unfortunately US based IGN has not, yet. Thanks a lot for the answers. I have recorded a few matches last night but it seems like the camera is totally bugged. I cannot move it, at all. It just stays in the same spot when the demo starts. I have tried every single button from my keyboard. Nothing, nada. The game will be too hard for new players I think. Frontline will be a good starting point and I guess it will be the most played mode but the game needs more publicity. PCGAMER, Massivelyop and other major gaming sites have not posted about Mordhau's release. So maybe its time we might start sending them the trailer. Thank you dude! Also, is there a way to gain free camera? That is understandable but playing with 80 ping puts you into a significant disadvantage against 40-50 ping players. It would be cool if we could play with better ping, id be happy with 55-60. Which servers are you getting bad ping to? Just official Frankfurt ones, or are there others? I have tried: Replacing ethernet cable, restarting router, anti virus scan, internet optimization including LEATRIX fix, proper registry edits, reinstalling mordhau, verifying the game, deleting cache. My location is Athens, Greece. service provider is OTE, I am on a fast path connection. I really do not know what else to try, the bad ping only happens within Mordhau. I am on wired connection, yes. I have the best service provider of Greece and I'm also on fast path, I never get issues with ping or inconsistencies regarding ping jump downs or ups. This issue is only on Mordhau, I always play with 50 maximum 60 ping on UK servers, normally 50 on German ones, regardless of the game. If a dev or a tech support representative could help me it would be greatly appreciated. I also have various registry edits, closed firewalls, microsoft updates, have OPEN nat on router. Tried LEATRIX fix as well, no change on Mordhau, other games are normal. I am playing on the official Frankfurt server and I always get 80+ ping. The reason I post this is because in every other game I play with maximum 50-60. In mount and blade for example, I play a on 200 man server with 60 ping when it's full, 50 when its like half. I am not a techie so I dont know what is the criteria to get a proper ping, but in every other game I get much less ping, and 80 really seems bad for a game like Mordhau. So I have tested mount and blade = 60 ping, CSGO = 54, Overwatch = 60, Chivalry = 60. Could this be because of the beta testing? In first that was my initial thought but it seems unlikely since most servers are rented servers? So its not on the game's side? I have my NAT open aswell. Help would be greatly appreciated because I feel very slow, especially on parries and kicks after an action, even weapons feel strange and can't play anything else other than fast ones and I really want to rock a 2H axe.